A stunning personalised wedding card. 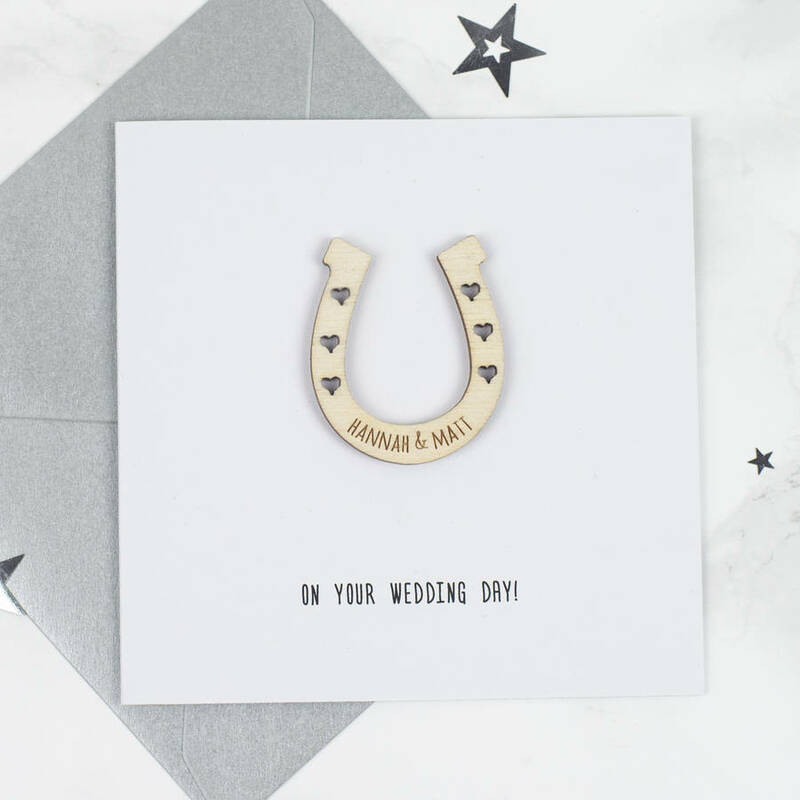 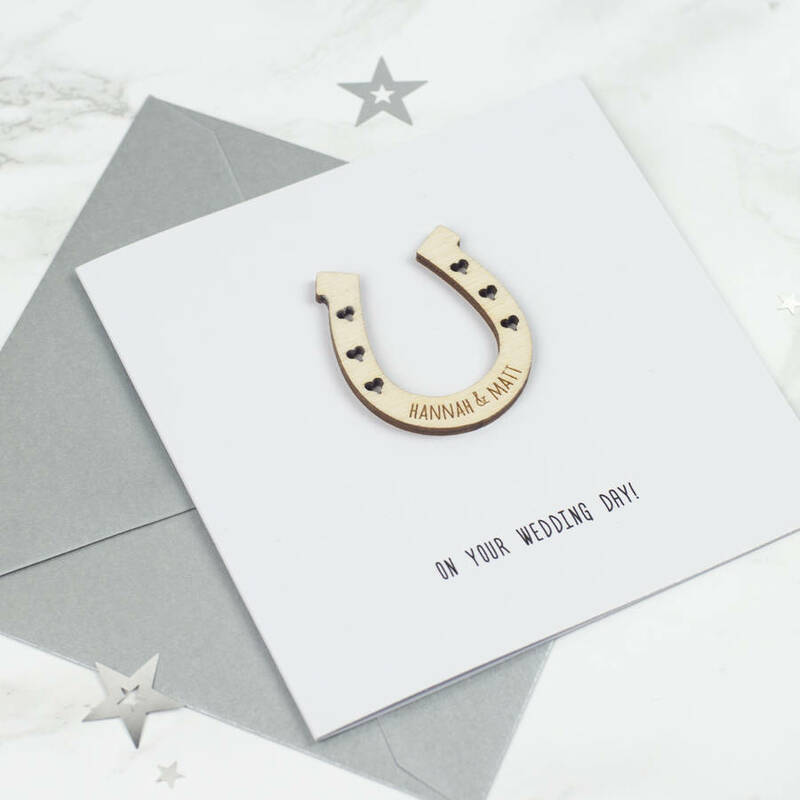 Our personalised wedding keepsake card features a gorgeous wooden horseshoe with your chosen personalisation. 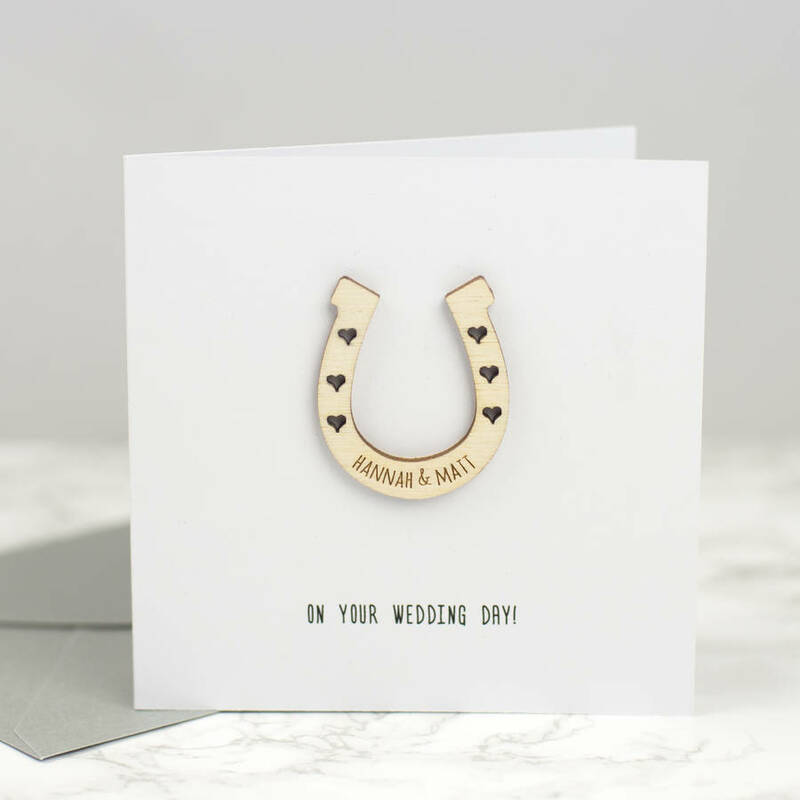 Our personalised wedding keepsake card is a sweet card which will help you to deliver your congratulations perfectly!